Ellisfield is a village of just under 2,350 acres, tucked away within Hampshire farmland and woodland. It is situated six miles south of Basingstoke centre and two miles west of the A339, the Basingstoke to Alton road. Ellisfield is ideally placed within a quiet rural location but with good road and rail links within easy reach. Junction 6 of the M3 is just six miles away (25 miles to the M25) and you can catch fast trains from Basingstoke station (London Waterloo in 45 minutes). The Domesday Book recorded four villagers, four smallholders and four slaves and now, 947 years later, there are 250 or so adults (no slaves!) and around 40 children, living in 119 houses. These houses are well distributed along almost ten miles of sometimes single track road and so the village has a feeling of spaciousness about it. 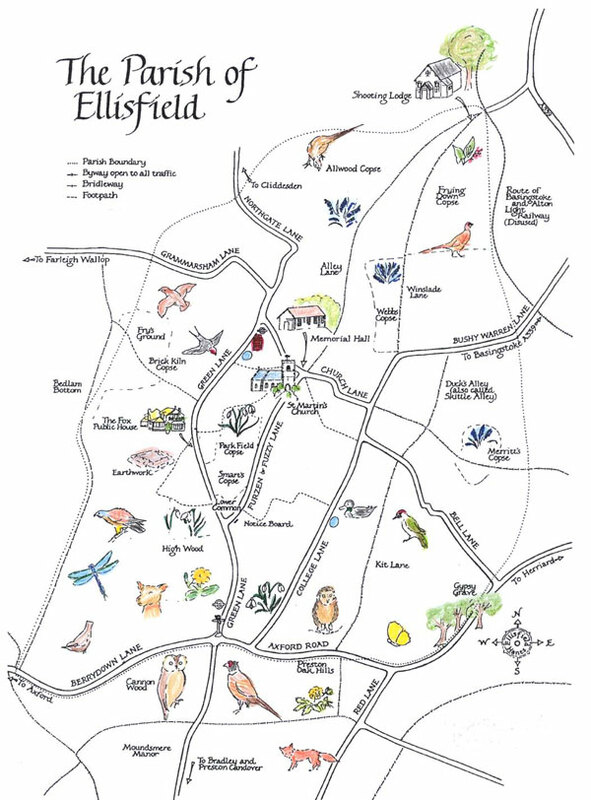 More information about Ellisfield village can be found on the Ellisfield Community Website. Ellisfield Parish Council consists of six Councillors elected for a four year term. The Council appoints and employs the Clerk who administers the affairs of the Council between meetings. To view each Councillor’s details including their primary interests and secondary accountabilities, please see the Councillors page. Please contact the Clerk if you would like to get in touch or if you have any Parish Council queries.